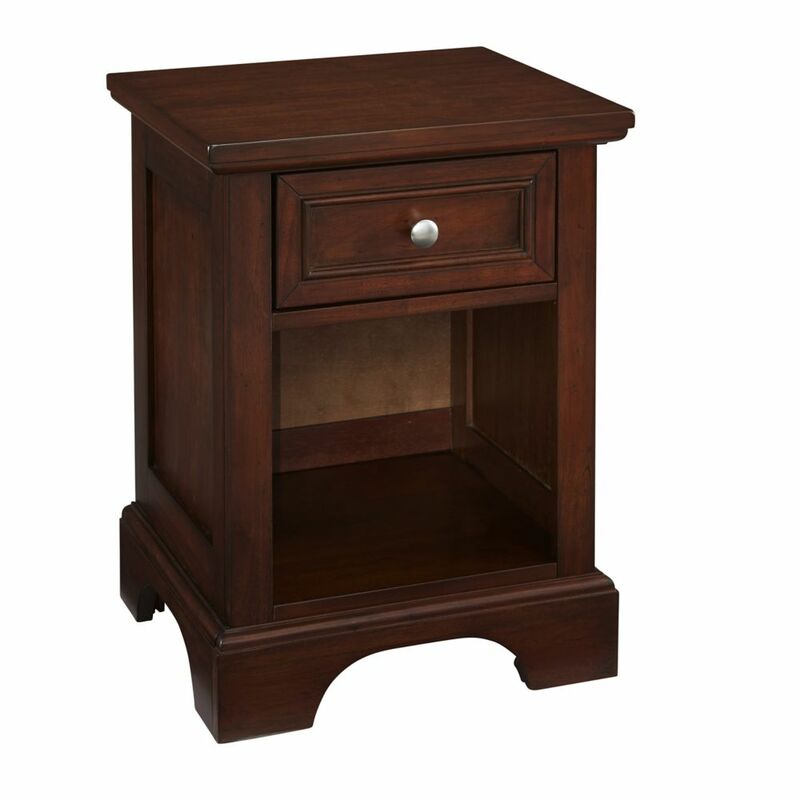 Perfect for any contemporary bedroom, this Home Styles nightstand is a great combination of style and durability. Bring even more style into your home with this beautiful traditional piece. Hold a bedside lamp, store your books, or even place an alarm clock on this handy nightstand. Perfect for any contemporary bedroom, this Prepac nightstand is a great combination of style and durability. With a modern look, this piece delivers the style and practicality you need. This useful nightstand can provide you with ample storage and display space for all of your bedtime necessities. With its elegant detailing and practical storage, the Monterey 2 Drawer Nightstand is more than just a place to keep your bedside lamp. This space-saving bedside table gives you two full-size drawers, each perfect for storing the odds-and-ends of your life out of sight. Use the sturdy top to pile on your books, cell phone, alarm clock and lamp, all the while enjoying its scalloped details and quiet sophistication. Liven up your bedrooms dicor by coordinating it with other members of the Monterey Bedroom Collection! Chesapeake 16-inch x 24.75-inch x 21.5-inch 1-Drawer Nightstand in Cherry Perfect for any contemporary bedroom, this Home Styles nightstand is a great combination of style and durability. Bring even more style into your home with this beautiful traditional piece. Hold a bedside lamp, store your books, or even place an alarm clock on this handy nightstand. Chesapeake 16-inch x 24.75-inch x 21.5-inch 1-Drawer Nightstand in Cherry is rated 5.0 out of 5 by 2. Rated 5 out of 5 by Marsha from Very beautiful, small size end table. Great assembly directions. Love... Very beautiful, small size end table. Great assembly directions. Love it!